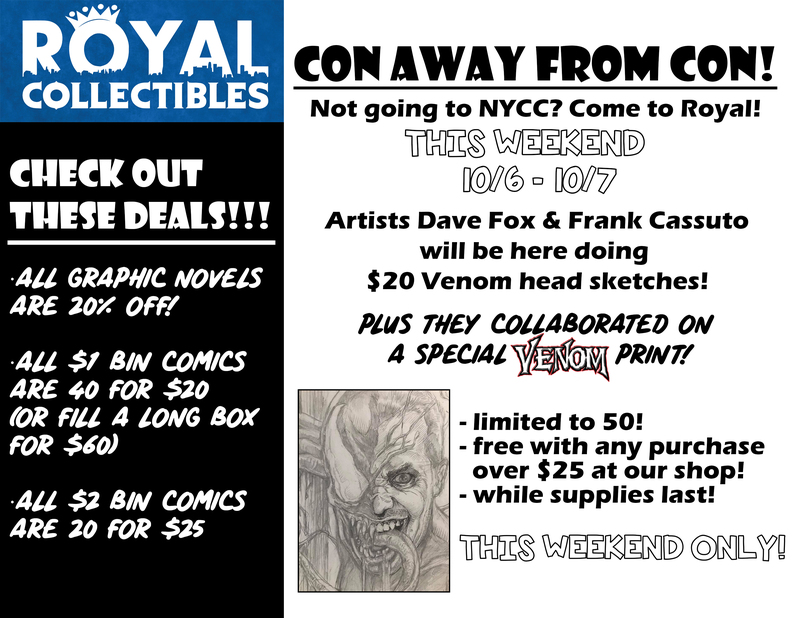 Royal’s Con Away From Con! And if you are going to NYCC, come visit our booth #2922 in aisle 2900! This entry was posted in General Info on October 2, 2018 by admin.